For a doctor, the learning process is never-ending. From learning the introduction of new medicines and understanding the interception of technology in the field of medicine, doctors are students for life. Now, Government of India has introduced NEET Super Specialty Examinations. NEET SS entrance examination is the gateway to all DM/MCH courses in India; has come to be of extreme importance. Candidates preparing to pursue their super-specialization in DM MEDICAL ONCOLOGY need to clear the NEET-SS examination. Oncology as a specialization is a very good option as we have less number of doctors provided they want to work on the outskirts and not in the metropolitan cities. 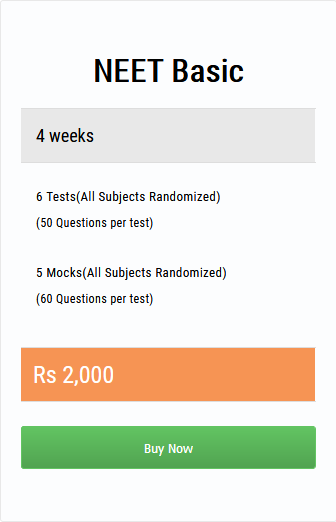 One of the most viable techniques to understand and crack NEET Super Specialty examinations is to follow the exam pattern. Every exam has a different style to it regarding mode, duration, type of questions, etc. Knowing how the exams are conducted is an excellent way to analyze the approach one must take to study for it. For instance, if an exam is going to have a number of questions, it is necessary to create notes that will help remember and elaborate points. Oncology has three types of sub-specializations – surgical oncology, medical oncology, and radiation oncology. A medical oncologist mainly treats blood cancer or treats with medicines. They provide systemic therapies such as chemotherapy. Medical Oncology treatment that deals with Chemotherapy, Immunotherapy, and Targeted therapy in combination with chemotherapy to more effectively treat cancer. Candidates should also know about some basic medicine, pharmacology – study all kinds of drugs and anti-cancer drugs which constitutes chemotherapy and others like biological therapy, neurological therapy. MediPrepExam’s online portal organizes a high-end super specialty test series for both MD and MS graduates. MediPrepExam understands the requirements of the preparation that has to go into it.